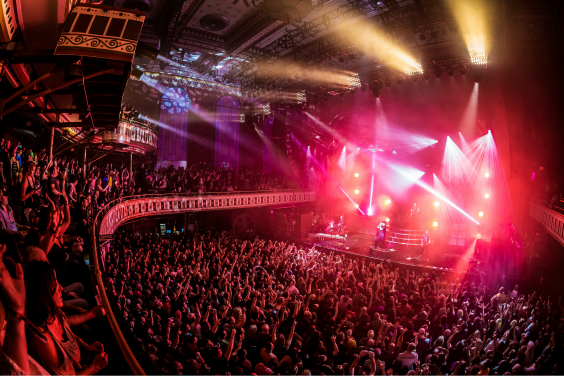 When looking to see your favorite artist, entertaining clients or planning that special night out, a premium seating experience at Tabernacle Atlanta promises to deliver. 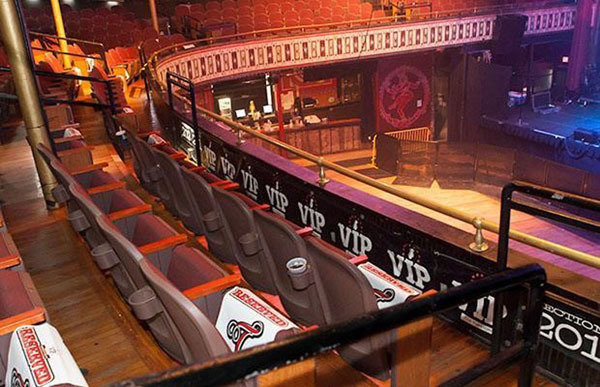 ""The ONLY way to experience a show at the Tabernacle is with Premium Seating! Every aspect of the program is Top Notch and it all starts with Kalie Martin!"" 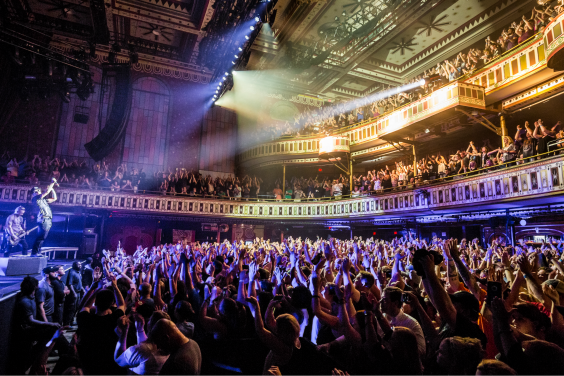 "“We love Premium Seating with Live Nation. It really makes the concert experience more enjoyable. 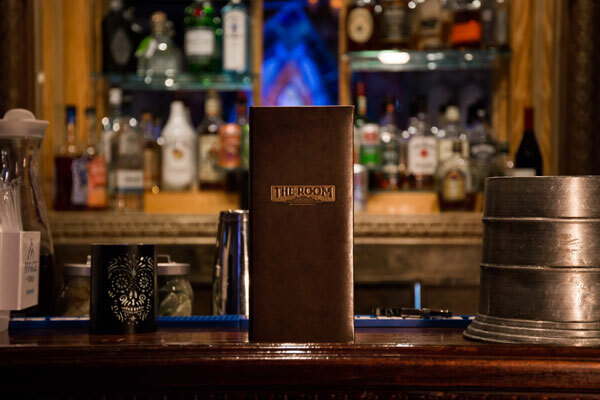 The VIP experience offers private entrance, bar, restrooms and roof deck access. Plus, the incredible Live Nation staff makes us feel like rock stars at every show. Can’t wait for the next one!”"
"When we decided to join the Premium Seating Program, it was the best decision we ever made. Not only do we have access to The Room, with its own restroom but some of the best seats for a great music evening. Top notch customer service and enjoyable experience. We plan on being members for many years!" "We love our Premium Seating at The Tabernacle! We have some of the best seats in the house for even the sold out shows, and the service provided by Kalie Martin is truly extraordinary! She is the best in the business. She makes us feel like a VIP with every interaction, and the Premium Seating experience is perfect for entertaining clients. Thank you Kalie, and thank you Tabernacle!" "The VIP Program make going to concerts exponentially more enjoyable. From concert pre-alerts, ticket orders, private bars, and rooftop access, the entire experience is convenient and makes for a great night." Premium Seating is a membership program that guarantees you the ability to purchase tickets for a seat you know you will enjoy. No more guessing about where you will be sitting. 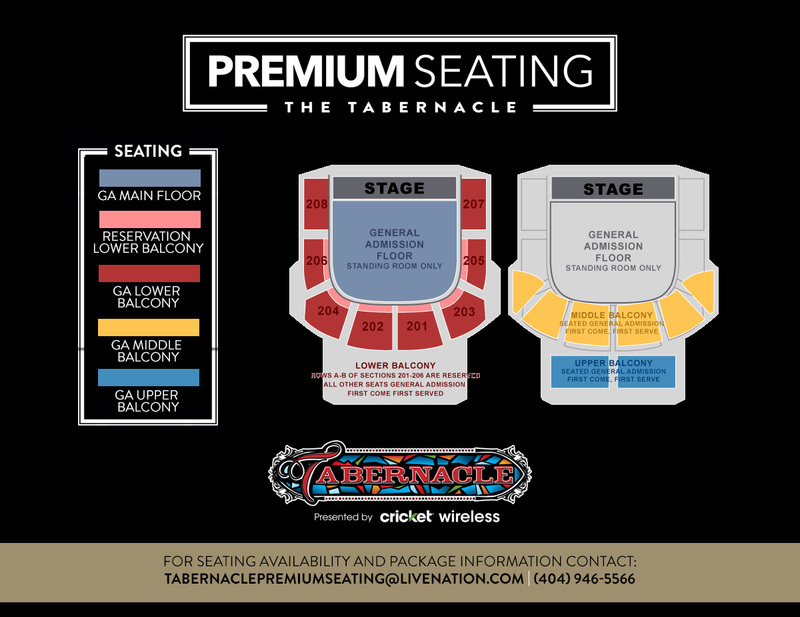 Additionally, with your Premium Seating membership, you’ll have access to The Room at the Tabernacle and a host of other exclusive amenities. Email Tabernacle Premium Seating or call (404) 946-5566 for more information. 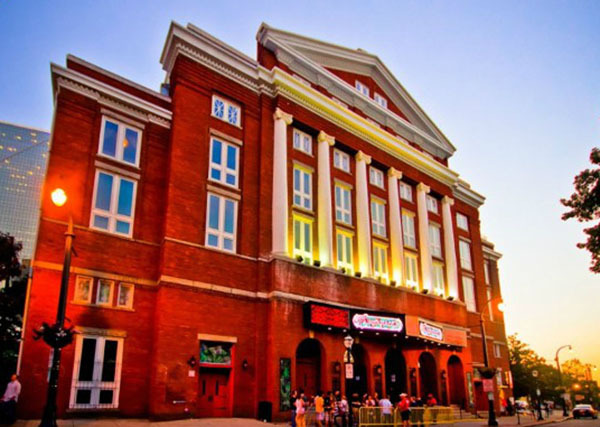 VIP Upgrades vary from show to show based on availability and include any number of amenities the Tabernacle offers. Please contact us if there is a particular amenity you are interested in.